As the summer continues and we get to sit on the patio enjoying our free time, we look to decorate these welcoming spaces with pretty handmade ornaments like a hand-painted portrait of your pet, maybe hang a sign for your visitors to read, or perhaps add to the serenity with a lantern or some candles. The Christmas in July team have selected some items to make your patio the envy of the neighbours. Do you have candles on your patio? Then you’ll need a mat underneath it. I have several to choose from in a variety of colors and seasonal themes. Do you want a specific color? Just ask, I can make one in any color to match your mood or decor. These vintage brass hurricane lanterns would be the perfect lighting for the outdoor patio. They would make a soft romantic glow on the patio for that special dinner with the love of your life. Sit them on a table or hang them from the ceiling or tree. No matter how you use them, they will provide an awesome atmosphere for whatever is happening on the patio. A colorful ornament hand-painted on a wooden board, secured with clear varnish, is perfect for decorating your patio. The picture is made on an oval board and it is very decorative. This one painting depicts a portrait of a little Westie dog, but you can also order a similar one with your favorite pet: dog, cat, horse, etc. If you would like to decorate the wall of your patio, you can choose a larger size. If it is customary to take off shoes before entering your home, this “Remove Your Shoes” sign is perfect for the patio to encourage others to do the same. The sign is primed and painted for outdoor use and then additionally painted by hand and tied with a silky cord. Remember the old Sesame Street fun about using your imagination? If not, here’s a little reminder: m.youtube.com/watch?v=QZawTyARxp0. What do you like to imagine? 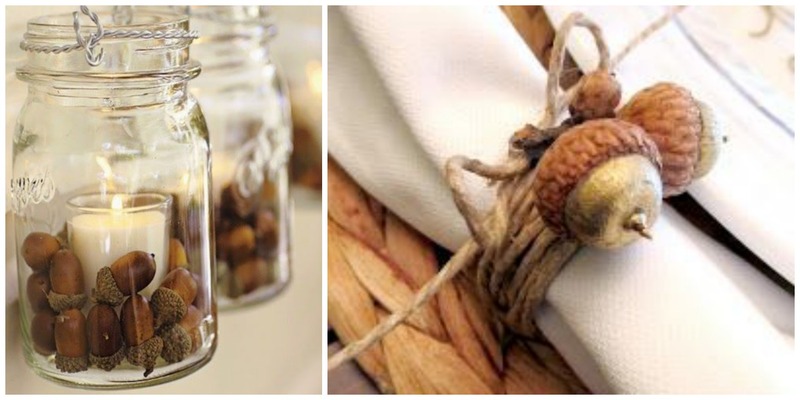 Our teamies shared these items that trigger their imagination. We hope you’ll share your thoughts on this subject too. This pastel drawing was presented at my exhibition 2014. I attach a catalog from the exhibition to the image shipment. I think that as children we all start out with loads of imagination and somewhere along the way we stuff it in a drawer and become grown ups. Opening up that drawer again and letting it out frees a sense of spirit and joy. I used to teach creative thinking and I found it was a wonderful way to loosen up the brain, sort of like brain floss. While doing farm chores I often let my mind wander and create stories in my mind – mental gymnastics if you will. The same thing happens when I bring my camera up to my eye (sorry, no cell phone in my house) – I try to see what others might not. Come on, aren’t you just waiting for a little fairy to pop out of one of these while bells? I love babies and children. I used to teach in an occupational therapy setting in schools for learning disabled children. Many prospered to go on to regular education as parents imagined they would with a little jump start. I have one grand baby and one on the way. I imagine a house full of grand babies!! I dreamed of one last night! Imagination is what makes the world go round. Well, it does in my life. here is a piece that I made using precious metal clay. it is strung on pink rubies and has a flower in the hand and a small golden bee. Thankfulness is on all of our minds this week, but there is so much to be thankful for all year long, including the beauty of nature. 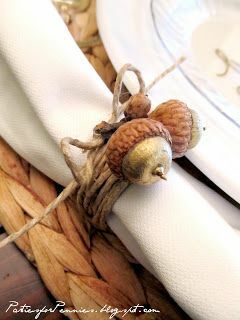 Today, I want to share just a couple of ways you can bring natural beauty to your table with some tips on how to make your Thanksgiving eco-friendly! Why not decorate your table with nature’s delights? You might be able to find acorns like these in your backyard, but if not, you can find them in Cyndi’s shop By Light Of Moon. They would look lovely spread across the table…. …or in a candle or napkin rings. Cut a pumpkin in half. Scoop out the seeds and stringy stuff. Lie face down on a recycled foil lined baking sheet. Bake at 350•F until soft, about 45 min to 1 hour. Cool, scoop out the flesh. Use immediately or freeze for future use. Above all, enjoy the days spent with family, friends, and beauty! We’d love to hear your comments and your own ways of celebrating an Eco-friendly Thanksgiving!